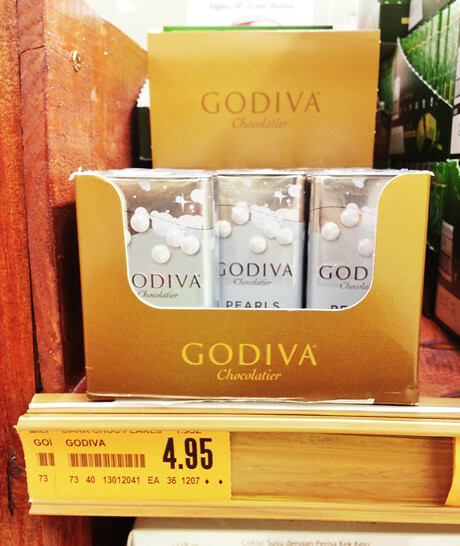 While shopping at Fairprice Finest at Bukit Timah today, I spotted Godiva Pearls on sale for only $4.95. The usual way to get it cheap is to buy it on airplanes, we usually have ours from SQ flights. It’s usually $20 plus for a pack of 3 tins. This look like quite a good deal. Expiry on the tin says Nov 2012, so a few months to go. We saw there are still lots of tins on sale. However there’s only White Chocolate available.